ABC probe ‘reveals’ Dutton-Xiangmo meet on citizenship. Sydney: Australia’s hardline immigration minister was swept up in the deepening saga over Chinese meddling in domestic politics on Tuesday, delivering another blow to a government facing defeat in next month’s election. 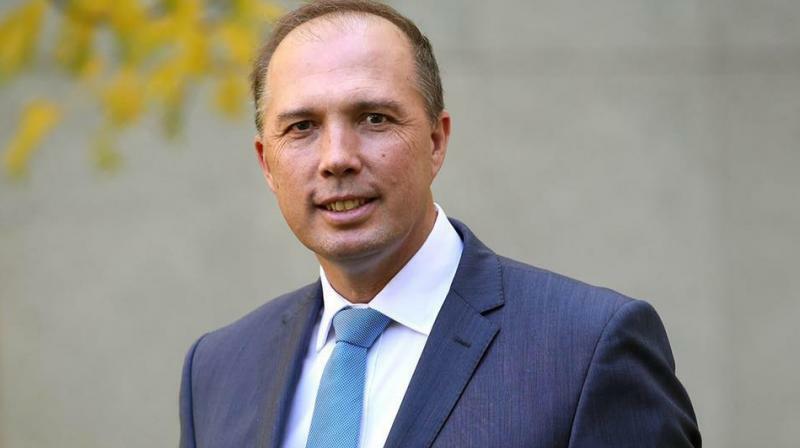 An investigation by national broadcaster ABC revealed that Home Affairs Minister Peter Dutton met privately in 2016 with Chinese billionaire Huang Xiangmo to discuss obtaining Australian citizenship. Huang has been at the centre of a series of scandals including accusations he bought influence in Canberra with millions in donations to major political parties. He has long denied any wrongdoing. The ABC alleged Huang paid a lobbyist thousands of dollars for private access to Dutton, throwing Australia's governing coalition into the foreign interference saga even as it trails in polls ahead of an expected May 18 election. Huang was eventually denied citizenship on the advice of Australian spy agencies and barred last month from the country on suspicions he is part of a Communist Party influence campaign. “I have never received a dollar from this individual. I had one meeting with him over lunch. I have never seen him since,” he told reporters. “We also hope that media can objectively and fairly report on China's foreign policy ... and not upset China-Australia relations,” Chinese foreign ministry spokesman Lu Kang said at a regular press briefing. Former opposition Labor party senator Sam Dastyari, who was forced to quit politics because of his ties to Huang, told the ABC Dutton in 2015 fast-tracked a request for the billionaire's family to hold a citizenship ceremony. Dastyari said it “blew him away” when Dutton took a few weeks to approve a fast-track request that would typically take months to rubber stamp. Prime Minister Scott Morrison defended his government on Tuesday, labelling Dastyari a “disgrace” for “betraying” his country. But former prime minister Malcolm Turnbullsaid the ABC report was “very concerning”.